Imagine a small agrarian republic that gradually grows into the world’s greatest military and cultural superpower. Over time, as public power is concentrated in the hands of a relatively small group of wealthy private citizens, that ruling elite falls increasingly out of touch with the world beyond its borders. Those borders, porous and steadily expanding, become ever more difficult to manage and defend. Faltering under the growing burden of policing them, the military is forced to recruit considerable mercenary support to handle conflicts that might arise, as well as those already under way. Eventually, losing its grip on power both internally and externally, the superpower enters a state of accelerating decline, ultimately fading into a shadow of its former glory. Sound familiar? This describes the predicament the Roman Empire faced toward the end of the third century C.E.—one with obvious and disturbing parallels to the situation that confronts the United States today. 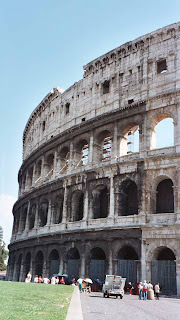 Such resonances have brought the analogy between Rome and America to the minds of more than one commentator, including, most recently, the author and editor Cullen Murphy. In his new book, Are We Rome? The Fall of an Empire and the Fate of America, Murphy takes a closer look at the oft-made comparison between the Roman Empire and the United States, leading the reader on an entertaining jaunt through precincts ancient and modern as he sets out to test the analogy’s validity and relevance. Currently editor-at-large of Vanity Fair magazine, Murphy was for two decades the managing editor of The Atlantic. From 1979 until 2004 he wrote the nationally syndicated comic strip Prince Valiant, which was illustrated by his father, John Cullen Murphy. He is the author of three other books, Rubbish: The Archaeology of Garbage, (1992, with William L. Rathje); Just Curious (1995), a collection of his essays from The Atlantic and elsewhere; and The Word According to Eve: Women and the Bible in Ancient Times and Our Own (1998). He is currently at work on a book about the Inquisition. I spoke with him recently by phone. You note at the outset of Are We Rome? that the idea of Rome as a point of reference for Americans is not exactly new—we hear the comparison made everywhere. Why do you think we find it so compelling? America has come to occupy the same role that Rome occupied in its own world two millennia ago. Since the fall of communism, Americans have been trying to come to terms with this new role and haven’t really figured out how to do it. I’m not sure that any of our foreign policy elite, or Americans more generally, really has a firm idea of what we should be doing in the world. This question naturally takes you back to looking at former big dogs in the world and how they behaved. That’s one of the main reasons, I think, that Rome comes back to mind. It raises the question, “Should we be taking on a quasi-imperial role? What happens to you if you do?” It also brings back the original question that was on the mind of our Founding Fathers: How do you protect yourself as a Republic? Does taking on too much power in the world have a terrible backwash effect on your domestic institutions? One of the effects you mention is the so-called “omphalos syndrome” that afflicted both Rome and Washington, D.C., causing each city to regard itself as the center of the world and in charge of the world agenda. In the case of the United States, when did this slide towards solipsism begin, and how is it affecting the way America is conducting itself today? In a way, it’s built into the very character of America—and it’s something we really need to watch out for. This notion of being an exceptional people—singled out by God, perhaps, the “shining city upon a hill”— exempt from the rules of history was also built into the very character of Rome. Rome, in some ways, thought of itself as a shining city on seven hills. It, too, was singled out by the gods for a great destiny. So we’ve had this idea of being at the center of things—of somehow being ordained for greatness—built into our DNA from the start. Now add an enormous amount of military and economic power and wealth onto that existing tendency, and you have a real problem. This poetic nationalistic notion of being at the center of things, enhanced by an enormous amount of actual power, can lead you to believe that this is a literal truth—that the rest of the world doesn’t actually matter relative to you. I do think that’s the mindset of the capital, as it was very much the mindset of Rome in its heyday. You saw it in Rome, in things like the umbilicus, the monument that was supposed to represent the navel of the world, which was perceived as being in the Roman Forum. How do you think the United States as a nation could go about changing its outlook toward the world? Does it require a move away from its current position of power? Or is that something that’s even possible in its present situation? Ideally, you would want to take action before you landed yourself in real trouble. It wouldn’t be far-fetched to imagine that the consequence of the Iraq War might be to instill a sense among thoughtful Americans that we need to do a better job of thinking through our actions before we take them, and that this means really understanding other parts of the world before we decide to meddle in them, if we decide we’re going to meddle in them at all. The Romans were a supremely successful as a similationist state in that they were able to absorb many different kinds of people into their polity and make them into Romans. But they weren’t particularly good at figuring out the mentality of people who were truly beyond the pale. The fact that they referred to them as “barbarians” is an indication. As a result, they did land themselves in trouble time and again by not understanding and then underestimating the capacity of people outside their borders. Some historians argue that the Romans never really understood the extent to which the very existence of Rome as a power actually had a unifying effect on the barbarians. That turned into a real problem down the road. And it’s not hard to see that the United States is doing something similar. It’s having a unifying effect on what had once been a scattered, dispersed group of enemies. Americans on the whole remain similarly insular, despite the fact that modern media and telecommunications offer unprecedented access to the rest of the world. What would help to broaden our viewpoint? The people in this country who have the greatest appreciation for the seam between America and the rest of the world may very well be those in the bottom twenty percent of society—the immigrants and even illegal aliens—rather than the people at the very top. 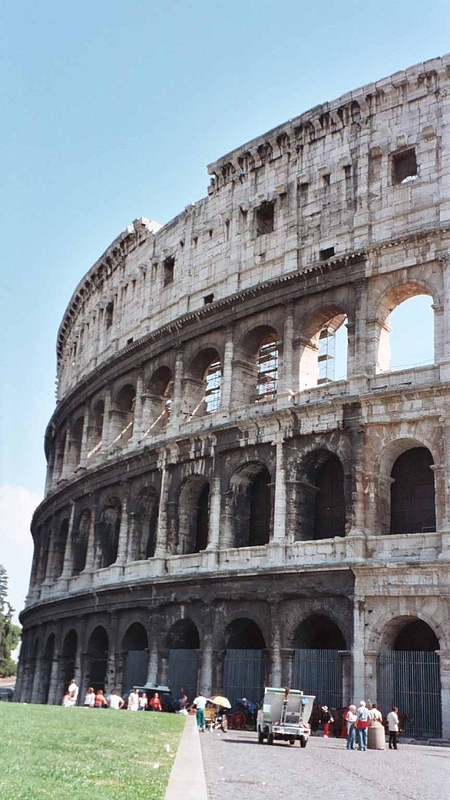 In ancient Rome, at least, the people at the top of society all spoke at least two languages. In America, it’s the people at the bottom of society who almost routinely speak two languages. So, first off, we should try to get more Americans to be fluent in another language. There are all sorts of reasons to do this. But economically, in a globalizing world, you’re simply going to need this. Nevertheless there are Americans who manage to cultivate a greater awareness of the world and concern for getting the picture right. In your case, what do you think motivated your efforts at understanding? For me, the primary motivation has been watching our country make poor choices when we find ourselves needing to act abroad. Time and again, when given the choice at a fork in the road, we’re taking the wrong path, whether it be something like deciding to pursue the Iraq War the way we did, or deciding to absent ourselves from a multilateral strategy on issues ranging from the environment to an international criminal court. On all these kinds of issues, it just became clear that our actions were derived from an assumption that we could simply act with impunity in the world in any way that we wished, and that the views of others could be brushed aside. Watching us push ourselves into the world with this particular mindset brought home to me most powerfully the idea that we didn’t have a clue how other people in the world thought. It’s an objective reality that we have to take into account. And we haven’t been doing it.